Children are little miracles. It is hard to imagine a full and happy family without a child. All these children need care, support, attention and protection. 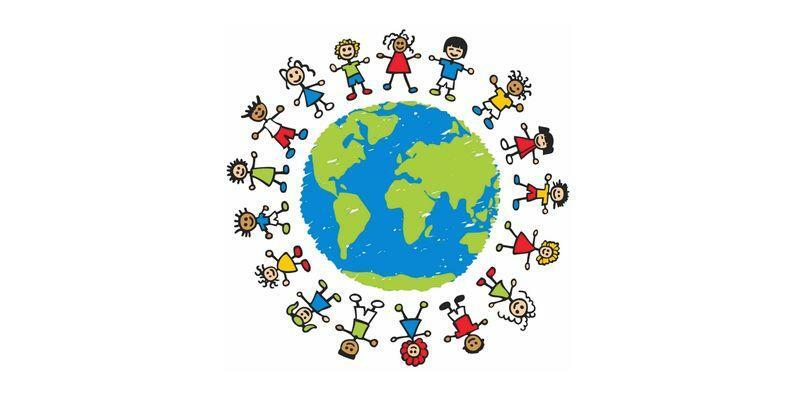 Every year on the first day of summer a big holiday is celebrated - International Children's Day. The Day is a reason for joy that makes us relive the unforgettable moments of the most beautiful stage of our lives. International Children’s Day dates back to 1925 when the world community got together in Geneva to talk about the well being of children. A date that was finally decided was June 1, which is when much of the world marks the date, but some countries have their own national children days on separate dates as well. Hundreds of events are organized across the globe to celebrate childhood and get people talking about the issues affecting children at the moment – and how to solve them. However, the health and soul of all societies depend not only on how children’s rights are recognized, but also acted upon. Mothers and fathers, teachers, engineers, doctors, government leaders and civil society activists, religious and community elders, and media professionals as well as young people can play an important part in making the world safer for children. The Day offers each of us an inspirational entry-point to advocate, promote and celebrate children's rights, translating into dialogues and actions that will build a better world for children. It is an opportunity for adults to loudly state their desire and ability to do something good for those children, who need to be protected. And these are not just children from the unsettled, starving countries of Asia and Africa, these are also children, who do not have parents, who live in foster homes, children who have been subjected to violence, children who were kicked out of their homes or had to leave their lands. Unfortunately, children are the most affected victims in a world full of catastrophe. Today some children are fighting on the front line, and take part in executions or become suicide bombers. The UNICEF statistics says that 652 children died in Syria in 2016, which is a record number of dead children since the beginning of 2014.The number of deaths increased by 20 percent compared to 2015. The UNICEF report states that 255 children were killed in or near schools. More than 850 children were recruited to participate in hostilities, which is more than twice as high as in 2015. The Armenia-Azerbaijan Nagorno-Karabakh also left an indelible path in the memory of many Azerbaijani children, most of whom still live a life of refugee and IDP. Armenia's invasion into Azerbaijan, started in the early 1990s, resulted in the death of more than 20,000 of peaceful Azerbaijanis, when almost 100,000 were injured, 50,000 were disabled and 4,866 have been reported missing. About 38 percent of internally displaced persons, the main victims of Armenian aggression against Azerbaijan, are children under 15 years. Azerbaijan lost many children during the Khojaly Massacre in 1992. As a result of Khojaly tragedy, 613 people of peaceful population were brutally killed, including 63 infants, 8 families were killed completely, 25 children lost both parents, 130 children lost one of the parents, 487 people were wounded, including 76 children. Unfortunately, the Nagorno-Karabakh conflict is still ongoing, and so far Armenia has not fulfilled any UNSC resolutions adopted on the conflict. Today, the children rights are protected on the state level in Azerbaijan and they enjoy equal opportunities, as the government regards the young generation the future of the nation. All the children in the country enjoy equal rights. The Azerbaijani legislation has plenty of serious grounds for the realization of children's rights, formation of children as a healthy and educated people, protection of their all social rights, development of juvenile justice and implementation of the children’s economic policy. The society needs educated children and healthy children to be proud of them. And don’t forget "Every child is a different kind of flower. All together they make this world a beautiful garden."